Determine what information would help prospects identify the best solutions to their problems.Think about the complexity of the problem they are trying to solve. You may need to develop content for prospects in different stages of the purchase cycle. For example, people in the early stage, may need basic information on potential solutions. Folks that understand the problem and p otential solutions may be looking for info on selecting a provider. Based on the information your prospects need and your own resources, outline how you will deliver the information. If your resources are limited, maybe a series of blog posts is easiest for you. If you have more resources, you could create and market a series of webinars. Another option is to be a guest on Webinar promoted by another company. Think about seasonality. Do prospects look for information during certain months? For example, if you provide a great new tax software package for accountants, do not launch your content in the hectic spring tax season. A better time to reach that audience might be late fall. Inventory your existing content assets. What have you already written? What have you already prepared that you could easily update? We produce a Best Practices list for email newsletter publishers. Each December we post a new blog post on these best practices, so searchers in January will find it. As a rule, get one or two months ahead of your searchers. This timing gives you time to get your online promotions working. List the content topics that you need to write from scratch and assign writers and a deadline. If you have the resource, you can engage outside resources for this. Let us know if you need help creating content. Based on your prospect’s needs, plan your content delivery. As mentioned above, get ahead of the market. 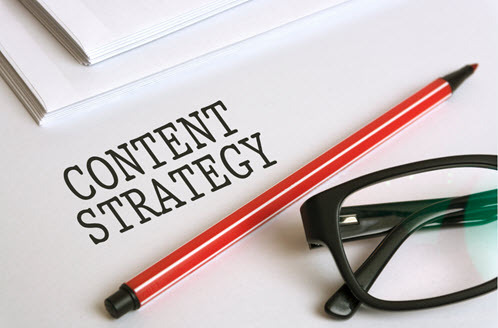 If you would like a sample content marketing strategy plan, please contact us.